On Monday 26 September 2016, the sixth edition of this year’s News Impact Summit series will be organised in Helsinki, Finland (#NISHEL). The summit will be held at the Scandic Park Hotel Helsinki (Address: Mannerheimvägen 46, 00260 Helsingfors, Finland) and will focus on the theme “Personalisation, Immersive Experience & Digital Transformation of News”. It is the first time the series is coming to Finland, and the second one in the Nordic countries. Co-organised by the European Journalism Centre (EJC) and the Google News Lab, in collaboration with the Finnish Broadcasting Company Yle, this one full-day free public event will cover various aspects of innovation in journalism, from personalised content distribution models to VR and 360° storytelling, as well as the techniques for UGC verification and a technology-assisted method to write better headlines. The programme also includes a session dedicated to the coverage of Russia and a viewing session to discover the unknown world of VR/360° journalism. Sign up now for this free event open to all journalists, editors, newsroom managers, entrepreneurs, developers, designers, and J-school students. We welcome any creative minds who are/want to become part of the future of digital journalism. Tip: We will be giving away a Google Cardboard to all the attendees. Don't miss the opportunity! 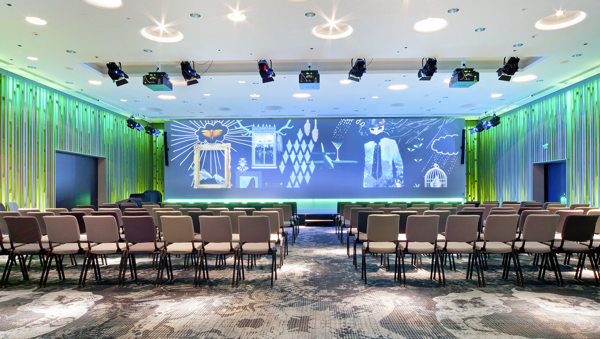 Our event will take place in the conference room "Vision" at Scandic Park Hotel Helsinki. How are innovative media houses boosting their audience reach by personalising the content distribution? Why and how can VR and 360 videos enhance the way we tell stories? What are the best practice examples using Google Photosphere, 360° videos and Cardboard? How should one verify user-generated contents and propaganda during breaking news? What are the lessons learned from the recent events such as the Nice and Brussels attacks? How tools like Bandito, a product from The Washington Post help editors write the most digital-friendly headlines? What can we learn from the successful online journalism pure players like De Correspondent and Long Play? Keynote Panel - Personalised Content Distribution Model: What’s Working? Personalising the way news is delivered is nothing new, but how the leading media have approached this in the most successful way to increase the audience engagement? This session features 4 media houses, namely Quartz, NPR, Yle and Adresseavisen to discuss their personalised content distribution models and what they have learned from their tested strategies. Making your content unique is one thing; displaying your unique content is another. De Volkskrant, one of the leading Dutch newspapers, has been creative with not only the topics they cover but also how they deliver them, including the recent Trump Votewiser, a tool that proves the presidential candidate’s inconsistencies. There are many new Google tools such as Youtube 360° and Photosphere that support journalists to tell complex uncovered stories. These tools often allow media to give an audience the experience that they cannot get otherwise. How do the leading media houses use these Google tools to tell stories in innovative ways? Today’s journalists can take advantages of social media to detect early signs of breaking news. But it’s not an easy task to scan through a high volume of contents and verify them within a short period of time. Even worse, journalists often take unethical approach when contacting eyewitnesses. What are the principles and steps to take so that you don’t end up being an “unethical journalist”? A series of attacks that took place earlier this year surprised many newsrooms in the world. Especially being near to the epicentre and subsequently becoming the main source of information for the rest of the world is unbearably challenging. What can we learn from VRT, the Belgian public broadcaster, from their own experiences and how are they approaching digital sourcing and verification after the Brussels attacks? The Washington Post has developed its own headline-testing algorithm tool that helps editors identify the best headlines for online news and features. How does it work, and what are the sound tips for the editors and journalists to better connect and engage with digital audience through headlines? Doris shares some of the insights from the Homepage Editor point of view. While many journalism startups are launched everywhere in the world, only a few end up remaining in the market. De Correspondent, the most successful online pure player in the Netherlands, and Long Play, a Finnish equivalent, are the examples of the most successful journalism startups in Europe. What are their content strategies and how do they collaborate with the audience? Helsingin Sanomat has been spearheading the world of data journalism in Finland and Europe. Especially in the recent years, they have been focusing more on how to engage with the audience through interactives and visually engaging data stories. The most-read Finnish newspaper will share some of the recent examples of the data stories and interactives, and unveil the next steps. Covering Russia-related topics is increasingly becoming challenging especially in the digital sphere; more and more journalists have become the victims of online trolls and phishing attacks. It has also become common that Russian hackers spread propaganda on social networks. What are the trends witnessed by the expert journalists and how can we protect ourselves and our sources in the digital environment? The year of 2016 has witnessed Virtual Reality as the big technology trend. Newsrooms in Europe have also started to explore the opportunities with 360° videos during protests and special events, but also have created VR stories to allow audience experience something that they cannot experience in a real life. This session will debate the opportunities and challenges with the world of VR and 360° videos.